... is here at my mum's underneath the lion perfume bottle. ... and now in regal splendour he sits on his very own lion quilt. Unfortunately I got it WRONG!! 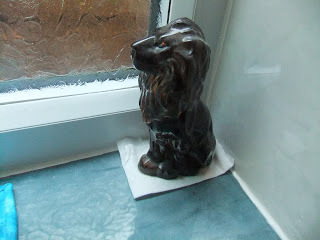 The lion was actually looking after a small piece of toilet paper that my mum used to use for putting spiders out and then recycled it again. 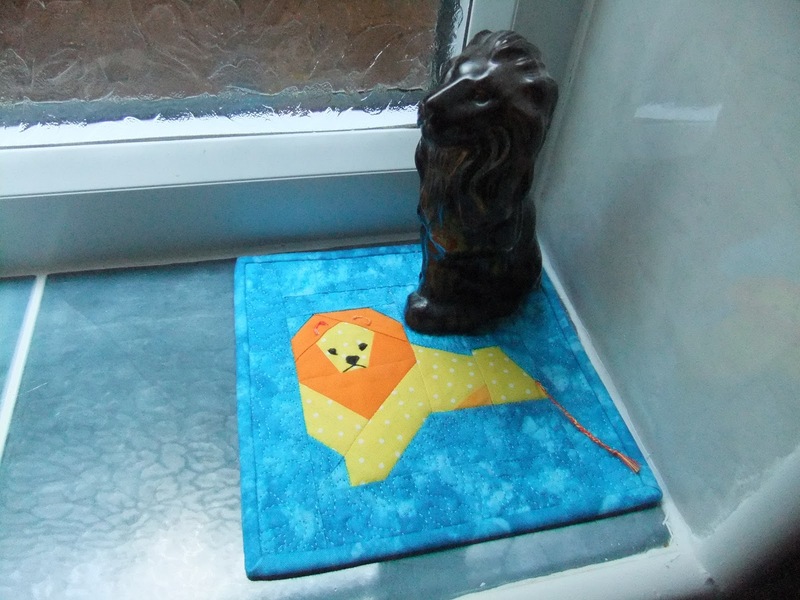 Oh well she can hide it under the lion quilt now!! !